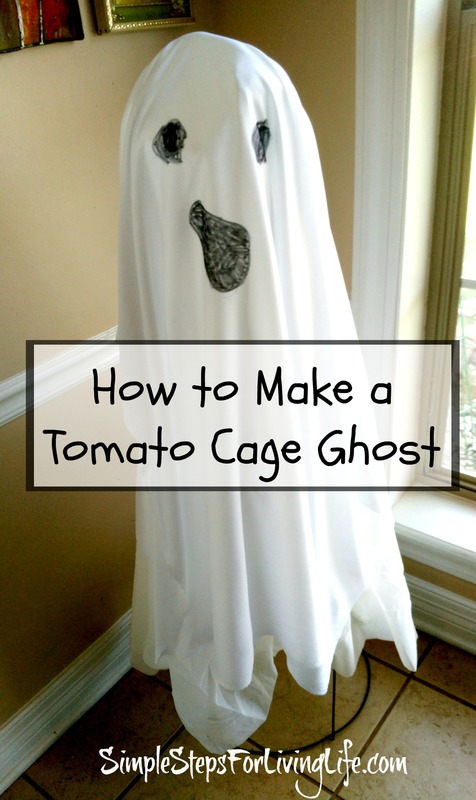 Have you seen the Ghost made from a tomato cage idea floating around the internet? 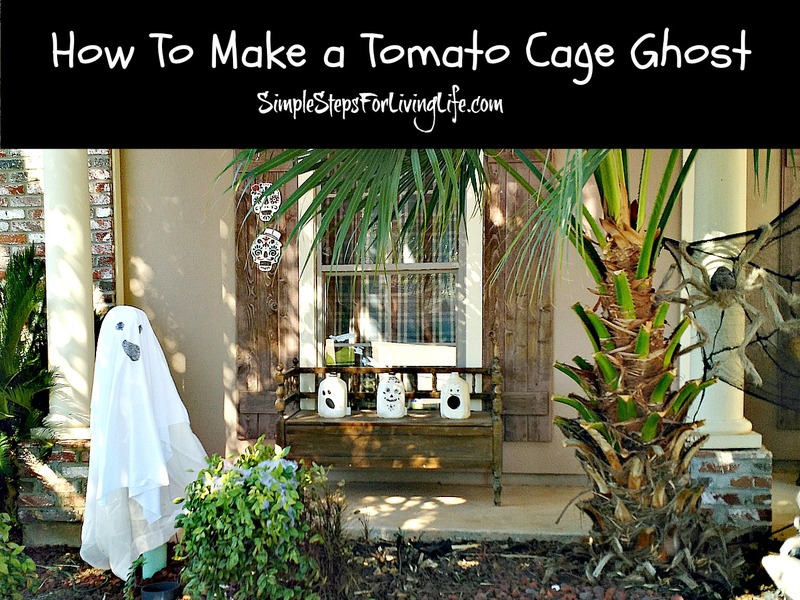 (heh heh – floating) This tomato cage ghost is super easy to make, only cost me $2, and is great Halloween decoration for any front yard! 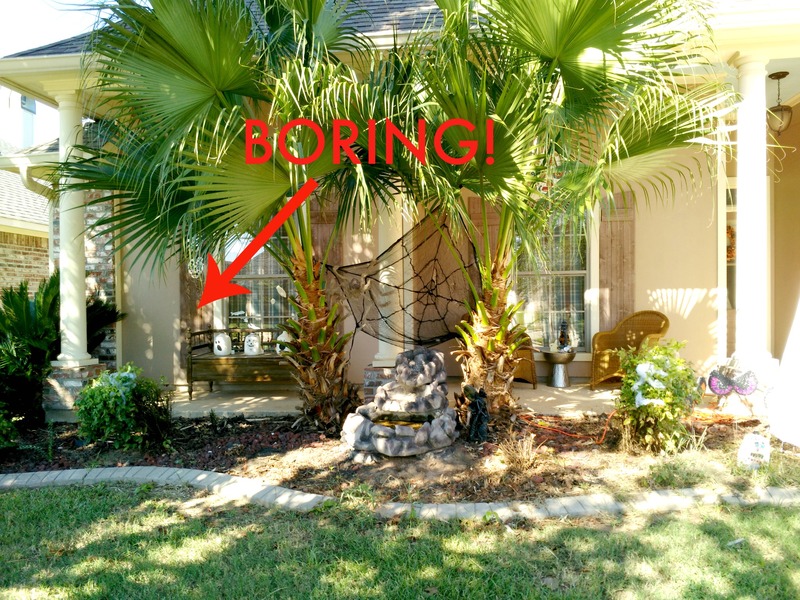 At first, I had no idea what to do in this area because I didn’t want to spend any money since my husband will be probably be going crazy next year and deck out the yard. 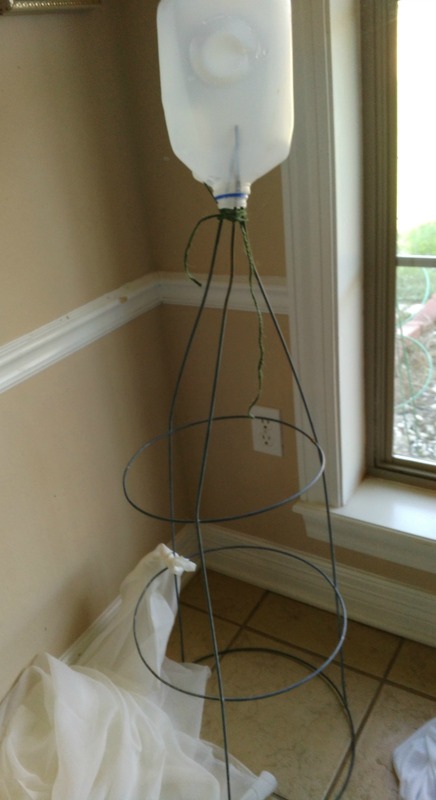 My daughter and I were playing in the backyard and talked about using the tomato cages for some decorations in the front yard. 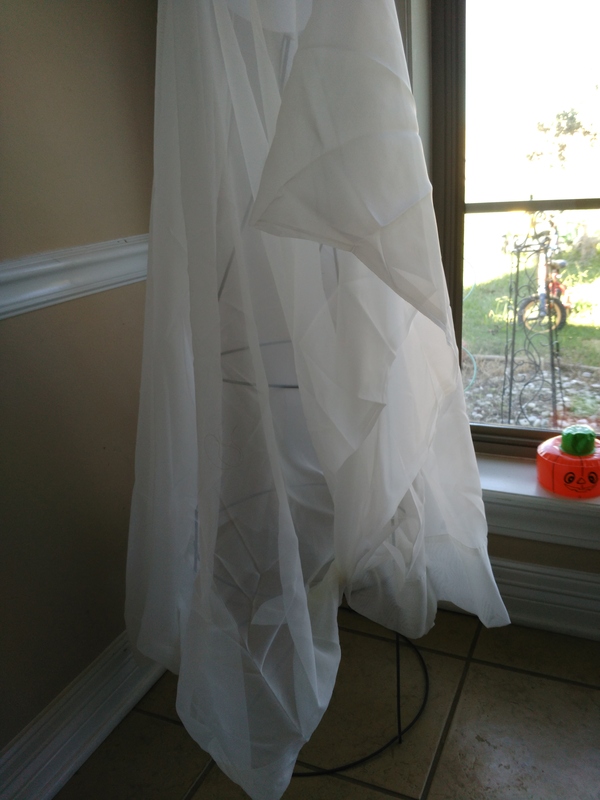 We settled on making a tomato cage ghost and went to Walmart this weekend for the only money I spent on this little project – $2 for a yard of white fabric. 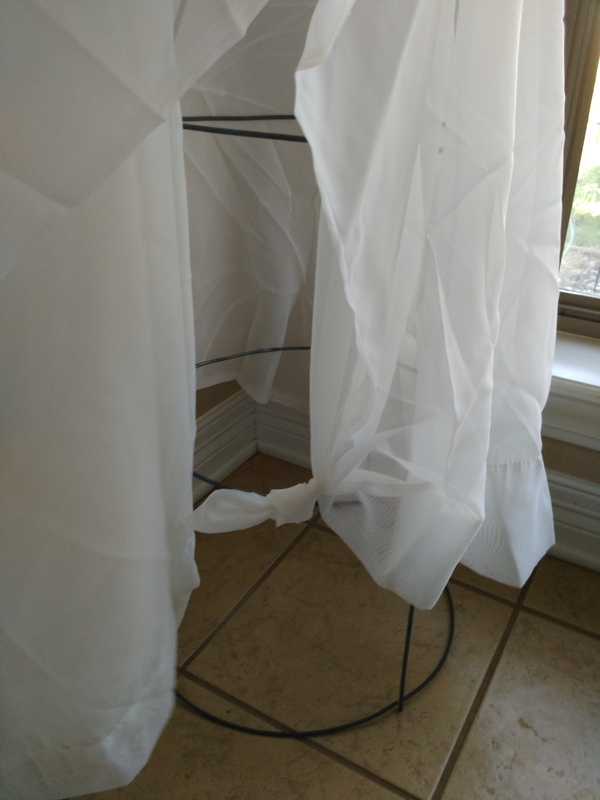 Fabric – I used a yard from Walmart and also an extra sheer curtain that I’ve used or stored for 8+ years. From this I could figure out where the eyes should go. I marked the estimated spots. 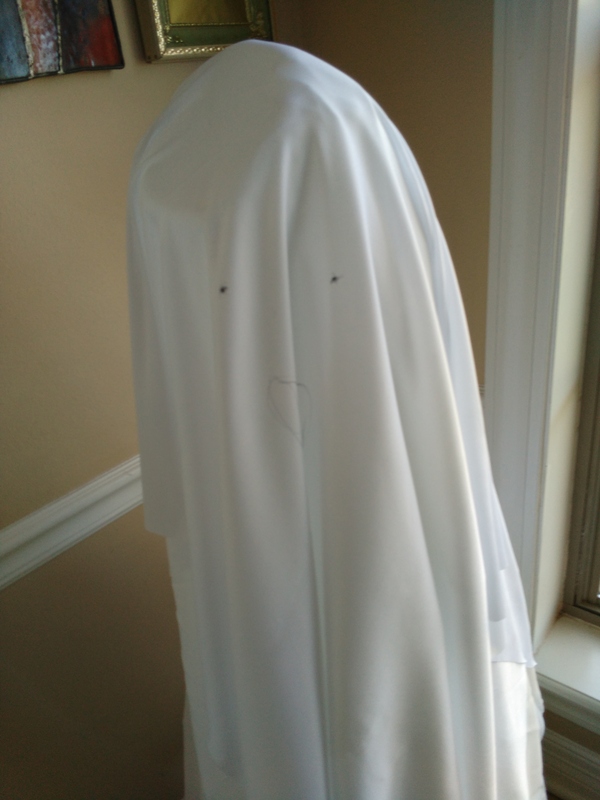 The fabric was taken back off and eyes with a mouth were added with permanent market. 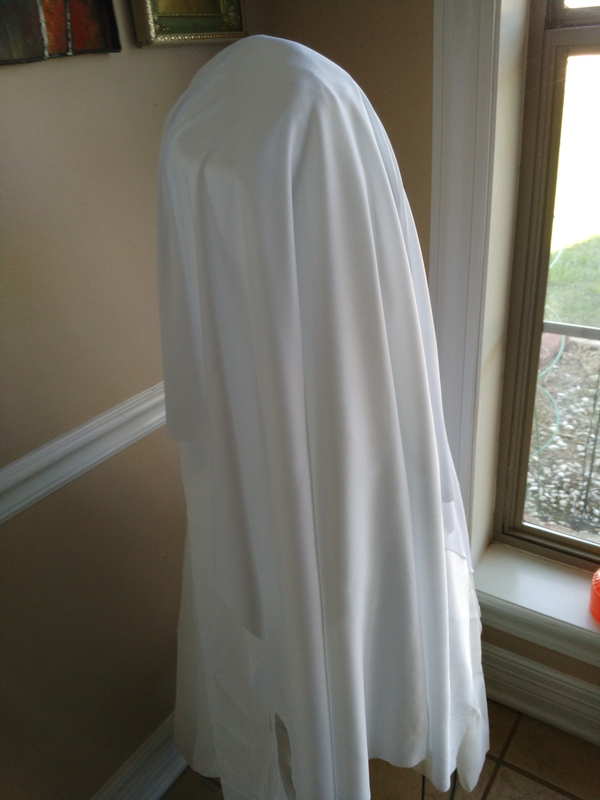 Then I used the safety pins to attach the top and bottom fabrics together; I made sure to hide the safety pins under the top fabric. And here is what I came up with! 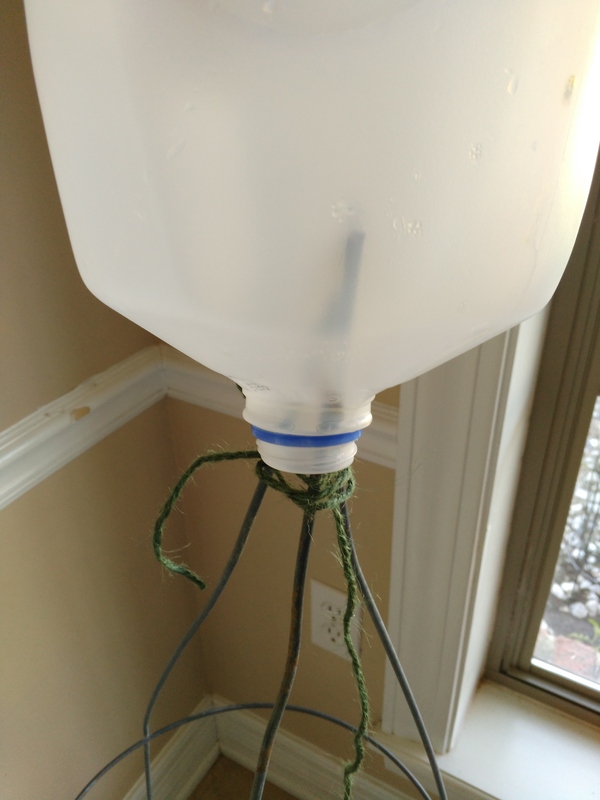 This was one of the easiest crafts to make and only cost $2. It also visually fills up a good amount of space for the front yard decorations. 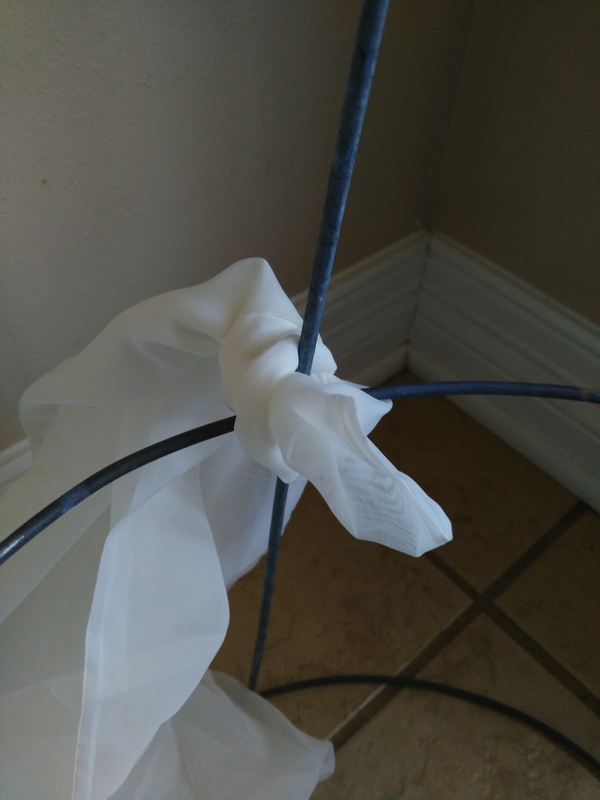 If you are looking for last minute Halloween decorations, then this might be perfect! 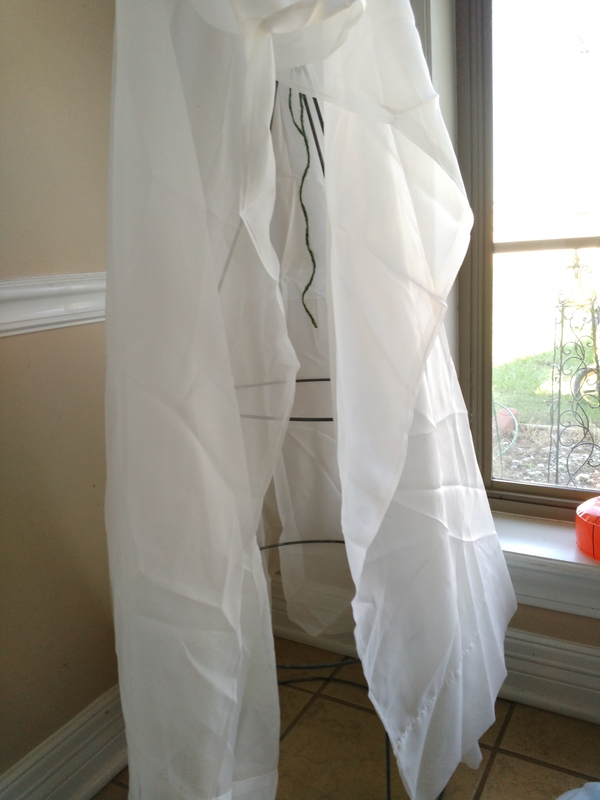 If you like this Halloween posts, check out the posts – How to Make a Spooky Mirror or Simple Halloween How To Wreath.